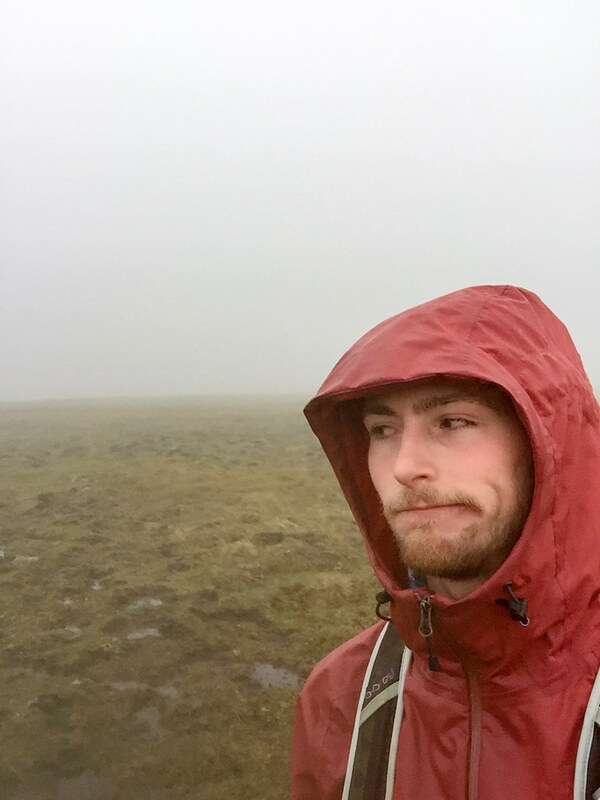 I recently read back my third ever walk report which entailed my first wild camp, 10 munros and started off in frankly horrifically wet weather (https://www.walkhighlands.co.uk/Forum/viewtopic.php?f=9&t=55906 - in case you fancy a read). When I was reading it back one comment from spiderwebb seems to have stuck: "...and most definitely don't cancel plans for rain, or wind or snow for that matter as days like this that improve make it all worthwhile.". That weekend seems like forever ago now! 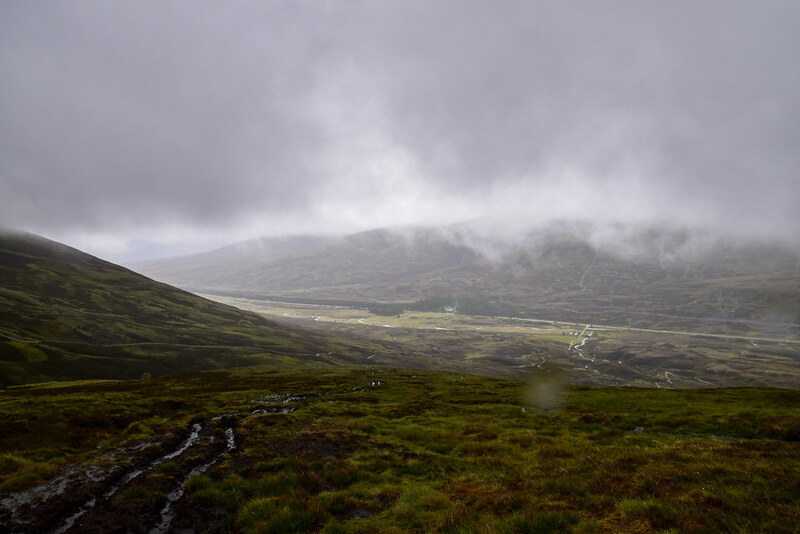 This will be my 22nd Walk Report across my first 71 munros and I was beginning to worry I was becoming a fair-weather walker . Obviously there is a difference between bad and dangerous, and well, this particular weekend the whole or Scotland looked "bad". 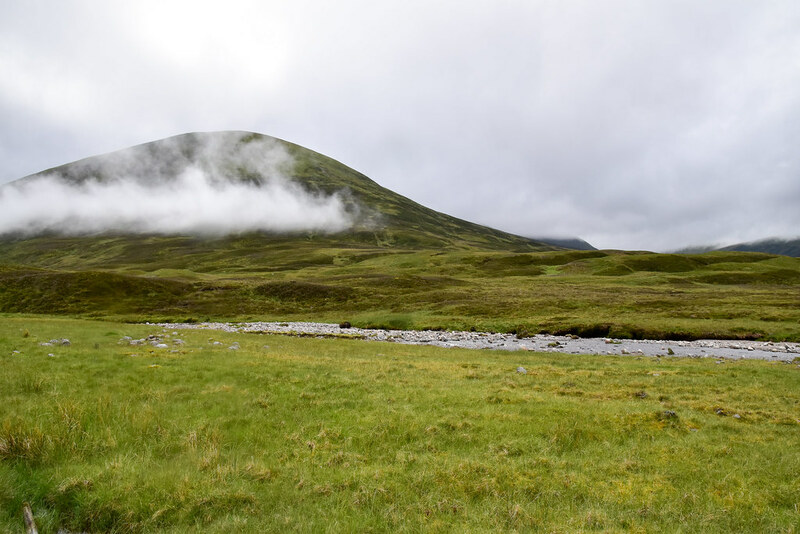 There is some of the munros I just want to enjoy in beautiful weather, some fall in the this Drumochter category, i.e. if they weren't over 3000ft would I ever go up them, probably not... . I had managed to recruit my 8th different person to come hillwalking since I became well and truly hooked. 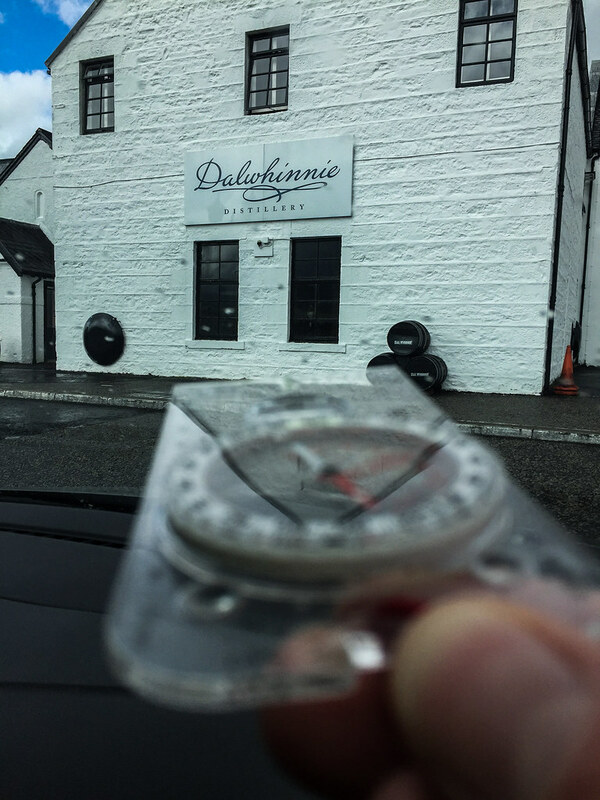 I picked Oliver up from Tarland and we set off towards Dalwhinnie, arriving at the parking spot by 08:30. 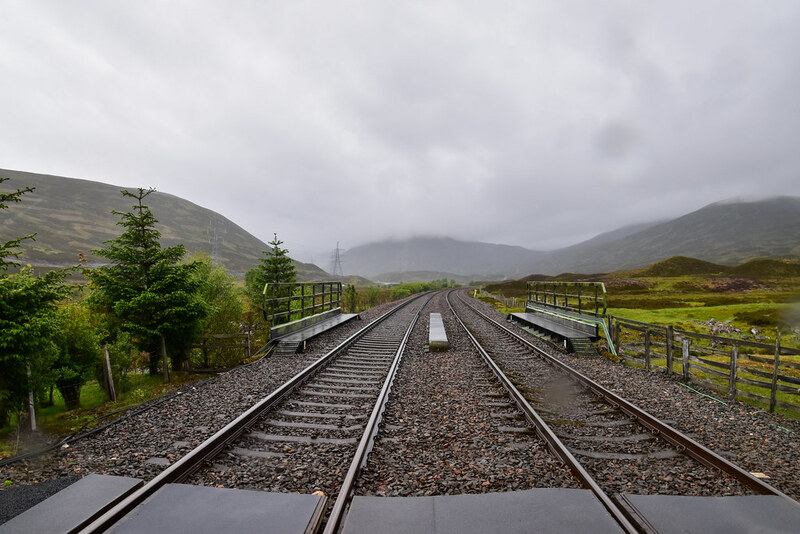 Train crossing just after Balsporran Cottage. 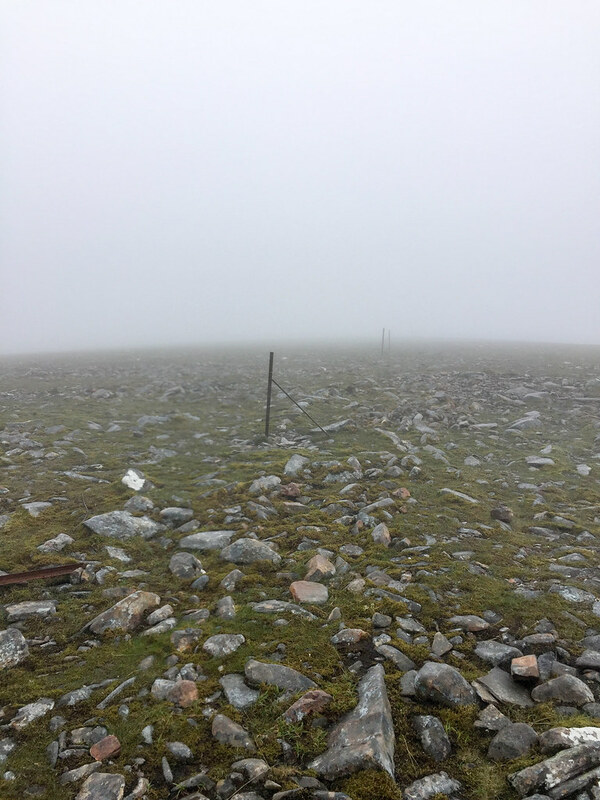 The slog up the first munro Geal-charn was without a doubt the worst part of the weekend, little did we know this at the time! The thoughts of "this was a stupid idea, we could just turn around and go home" start popping up rather quickly. Rain was torrential and the wind was directly in our face. My camera didn't last long at all before it was removed from under my waterproof and placed deep inside a few waterproof bags. Oliver sheltering before the final push. We made it up Geal-charn and thankfully once we were over the other side the wind appeared to die down. Stopped for a quick bite to eat before heading up A' Mharconaich. 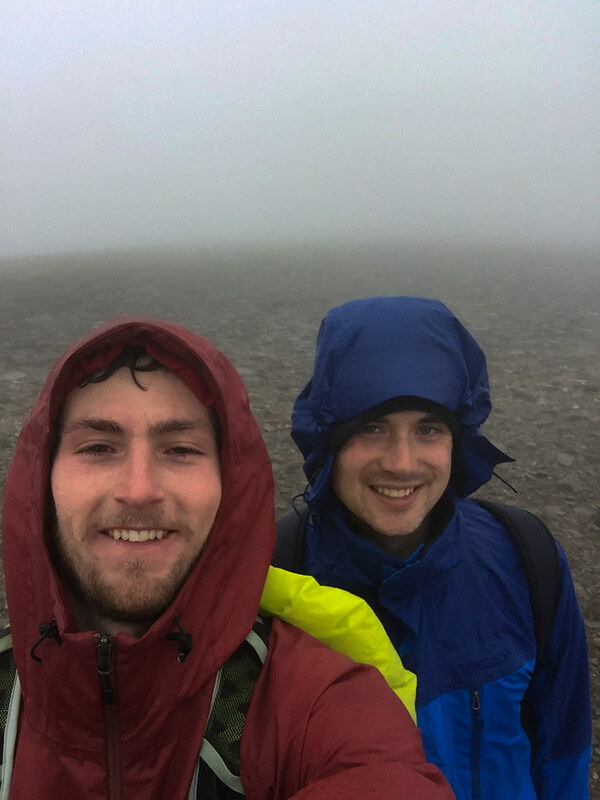 Really there wasn't a great deal to report.... following compass and map, with frequent double checks of GPS we quickly made it up to the third munro, Beinn Udlamain. Fence corpses make good navigational assistance markers . 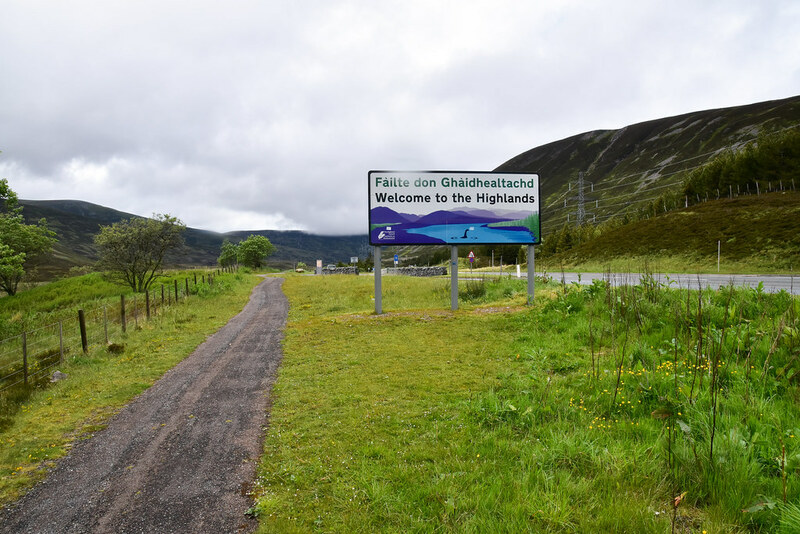 Now correct me if I am wrong but I don't think there is a "correct way" to move from Beinn Udlamain to Sgairneach Mhor, if there was we didn't take it. 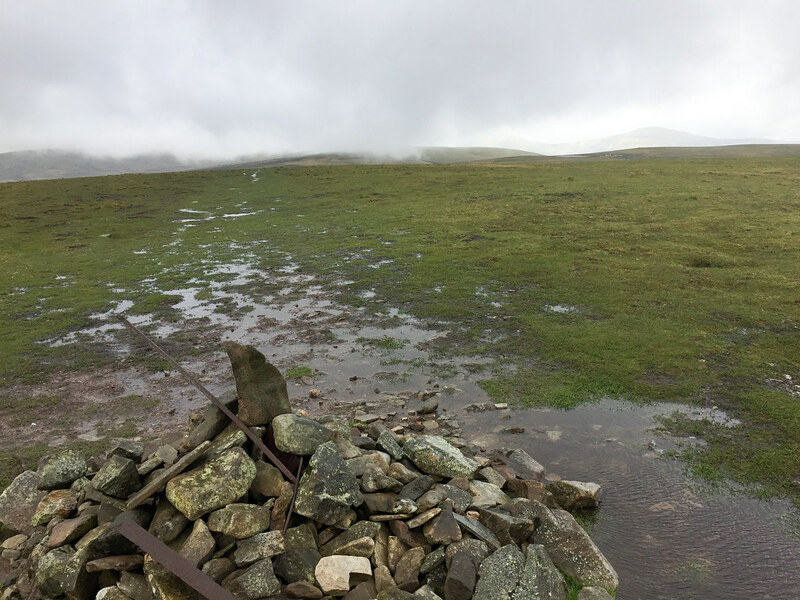 A rather long and slow boggy slog, with increasingly wet and tired legs seemed to take an eternity. 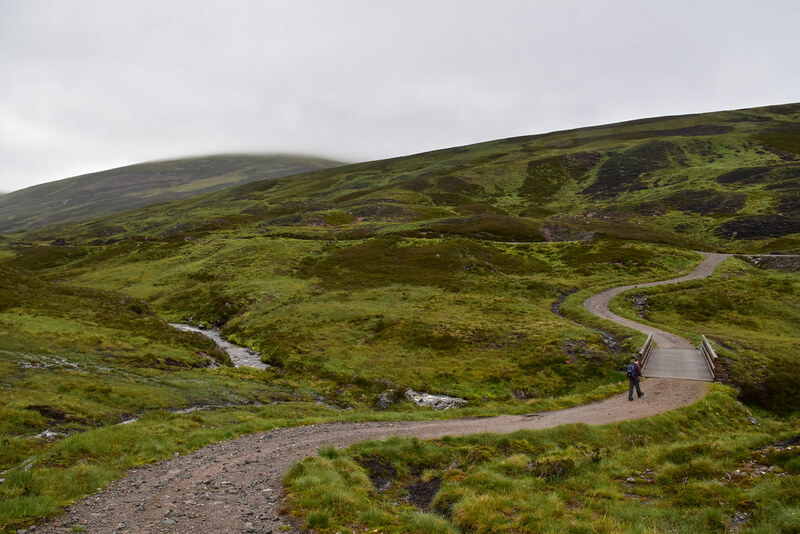 Now the Sow of Atholl was a contender for the entire day until we got to the bottom. The idea of adding a Corbett in the soaking wet didn't fly with Oliver, and the idea of a cold tinny sold it for me. Directly down it was. 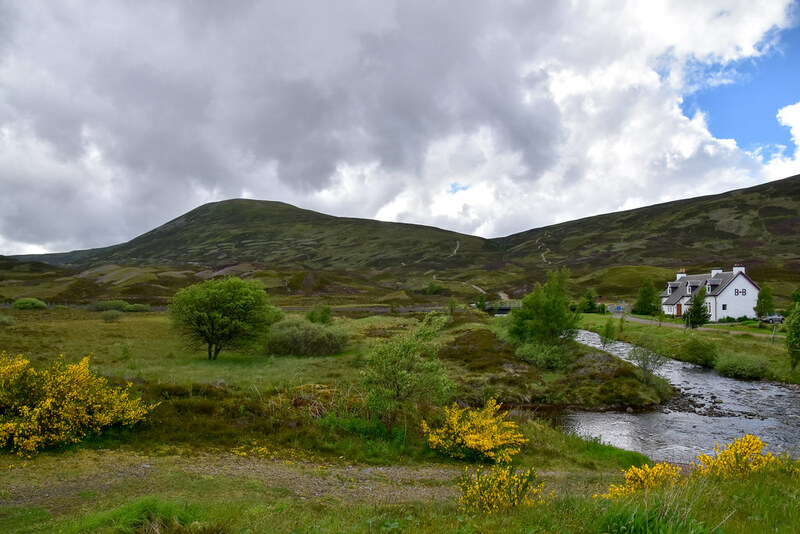 Some photos from the way down and long walk back along the A9 to the car park. Thankfully once we were back walking along the side of the A9 the weather took a break and turned into a rather pleasant evening. Desperate for a cold beer we hopped into the car drove for 18miles and sourced a four pack of Scotland finest Tennent's Lager. 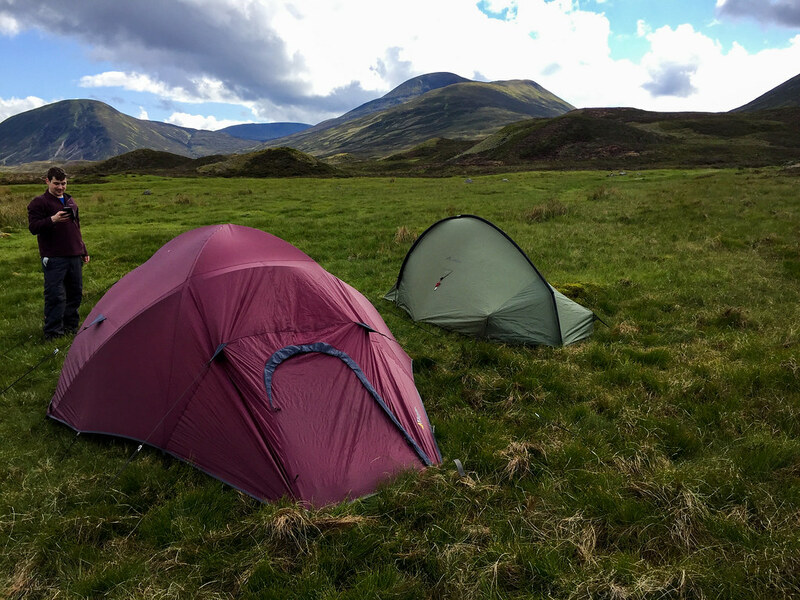 For the first time in a long time my "wild camp" was so close to the car - I opted to live the life of luxury and take out the two man tent in favour of my 1 man tent / coffin. Little did I know Oliver was taking a frickin' house!!! 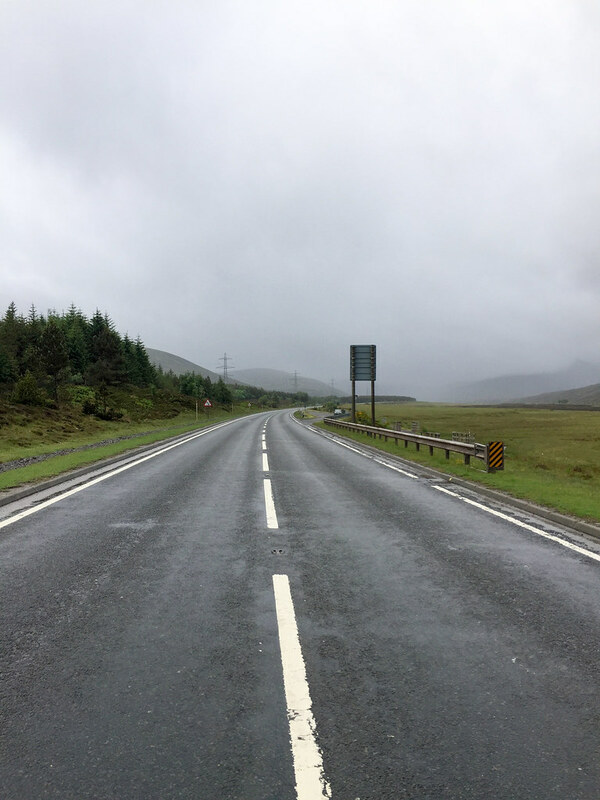 After a pretty terrific sleep we moved the car slightly further up the A9 and set of for A'Bhuidheanach Bheag and Carn na Caim. 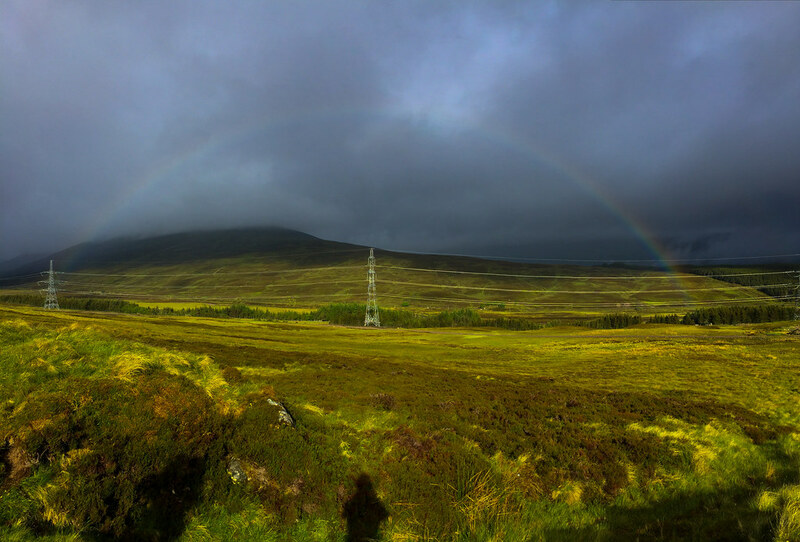 Slightly more spontaneous bursts of sunshine meant some good rainbows. Unfortunately with the camera relegated to the car for today, iPhone was all that I had! 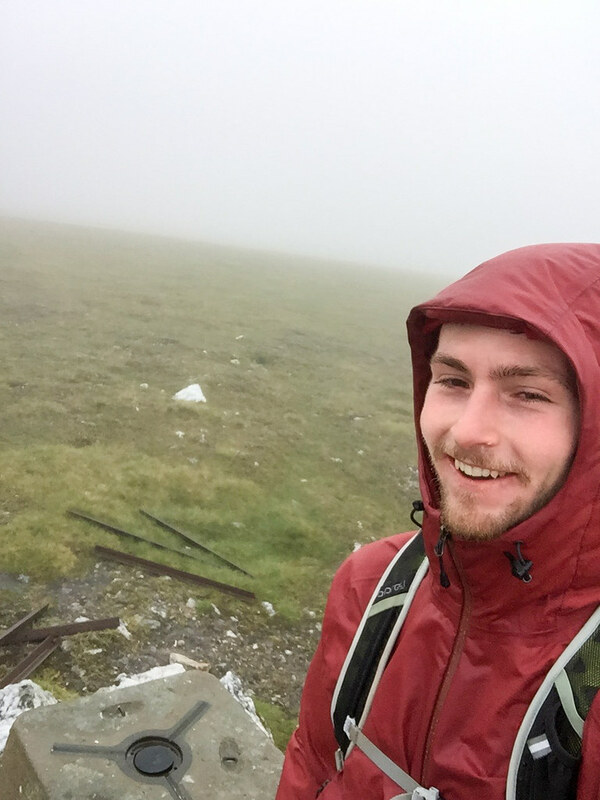 Decided to head up A'Bhuidheanach Bheag first and accidentally made a complete meal of the navigation on the top A'Bhuidheanach and make a slightly less straightforward descent! This is the face of "I'm never agreeing to this again." 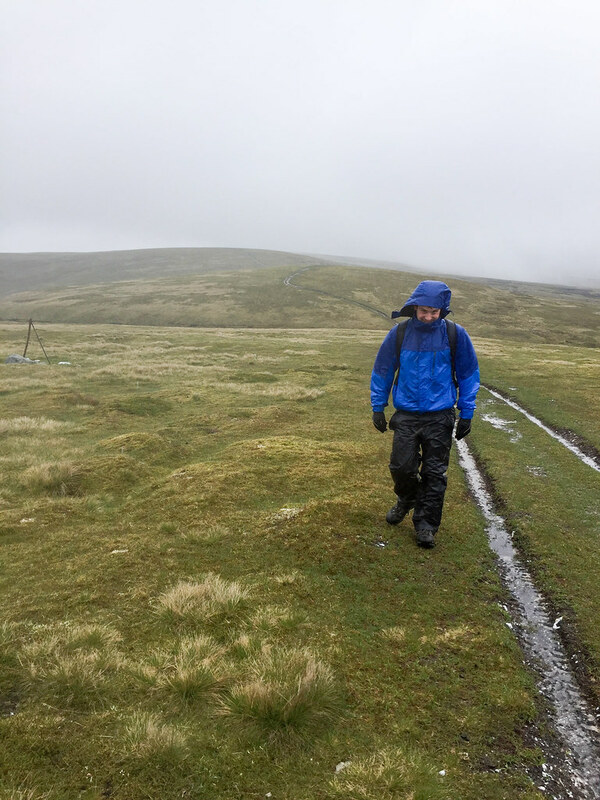 Unfortunately just before heading up the final slog for the first munro Oliver felt his knee go so decided he would retrace steps bag to the car. Since we were already here was I was being a dirty munro bagger I promised to be as quick as possible. 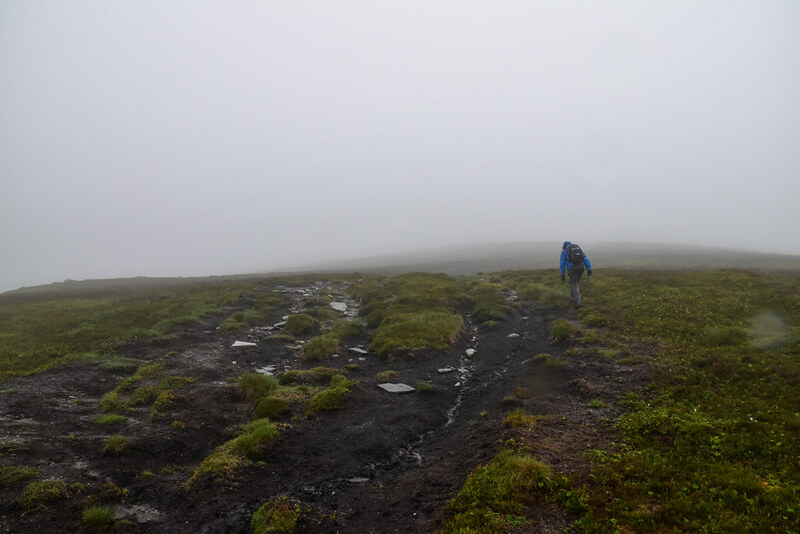 Navigating on the plateau of A'Bhuidheanach Bheag was easily one of the most challenging experiences I have had up the hills. 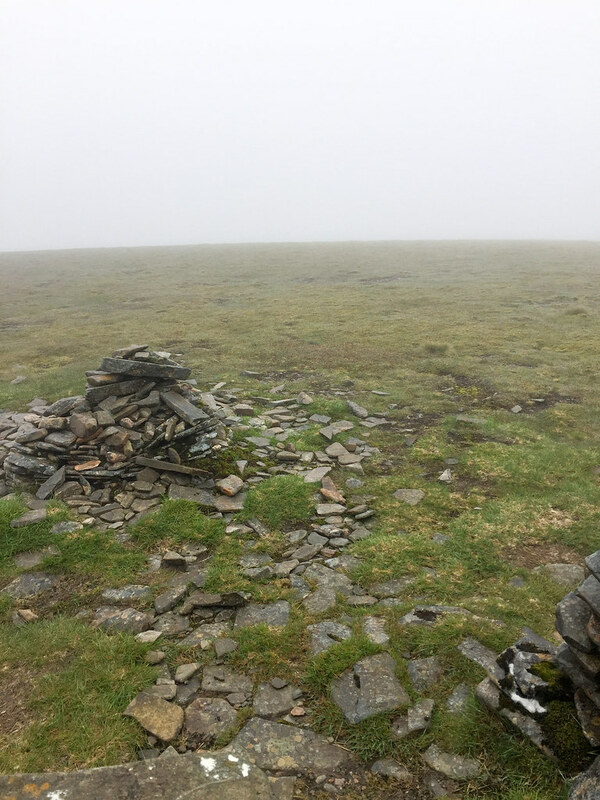 It is so flat and featureless but I knew there was a trig point somewhere! 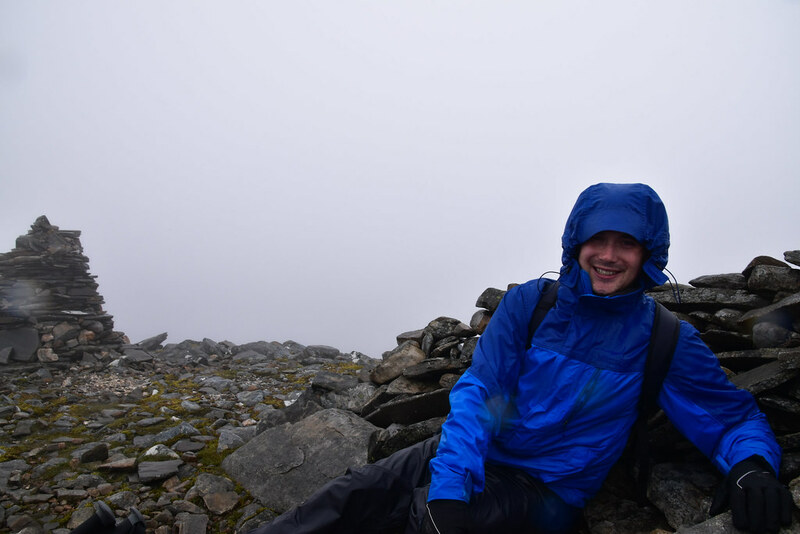 That's my 70th munro, hiding in the clouds! After mistakenly following the fence for a bit further than planned I made a rather rapid B-line towards Carn na Caim. Made swift progress down to the car only passing a few groups on route up the hill. After starting to early we were back in the car by 12:30. Met one lovely couple just starting as I was finishing, he summed it up rather well; "this is simply a bagging exercise" . Whilst it may have just been a simple bagging exercise, spending the night in the tent away from the constant laptop, tv, phone, computer, iPad, iPhone etc. etc. is worth its weight in gold. We covered over 45km in distance and gained a total of 2103m, whilst physically I might have been running on empty come Sunday night, it is amazing how mentally refreshing spending time out in the hills is. 10/10 for commitment! I'm impressed - this is a bunch of munros I don't expect ever to do, even in fine weather. The ones on the opposite side of Loch Ericht are a different proposition altogether - hoping to do these next.